This special type of camera was very popular between the end of the 19th and the 30’s of the 20th century. 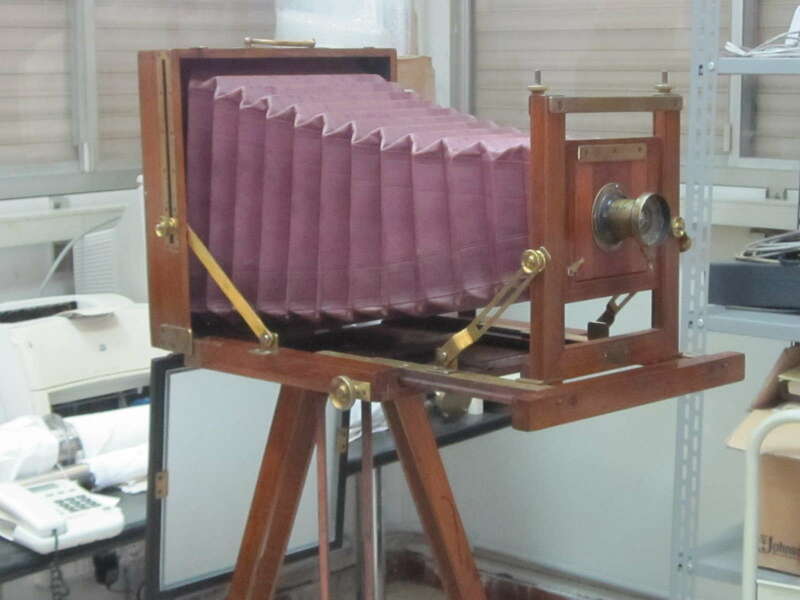 After the invention of the daguerrotype camera, the introduction of the bellows connecting the photosensitive plate to the objective, improved the focus of the picture, thanks to basculing and decentering of the focal plan as well as of the plate. The camera on display is a Tourist Camera, designed for traveling photographers and therefore suitable for scientific expeditions, as it can be used both outdoor and indoor. It was probably used by the astronomer Temistocle Zona (1848-1910) during the expedition to Sfax, in Tunisia, aimed at observing the total solar eclipse of 1905. 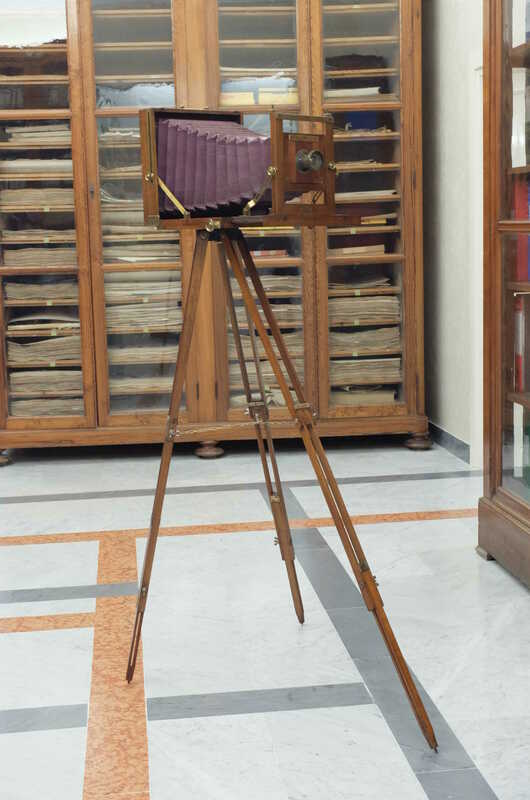 The camera is provided with a stand, about 165 cm high, kept in a leather case; it is equipped with a wooden box for travelling and is accompanied by another wooden case containing three plate-holders, each one bearing a double plate. It is well known that, at that time, glass plates, about 1 mm thin, were covered with a photosensitive emulsion (generally silver bromide).